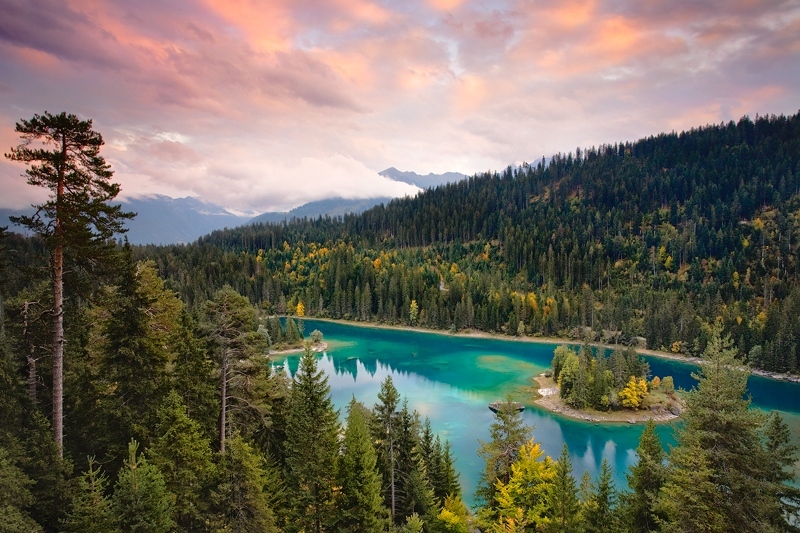 The blue colored Lake Cauma is not far away from the town of Flims and is used as a swimming lake in summer. Swimming facilities are just at the border of the lake but I could manage not include them in that photo – at least most of them. Unfortunately some white platforms on the water were still there – so I decided to removed them in the post process – not my usual way but I found no way to remove them in field.